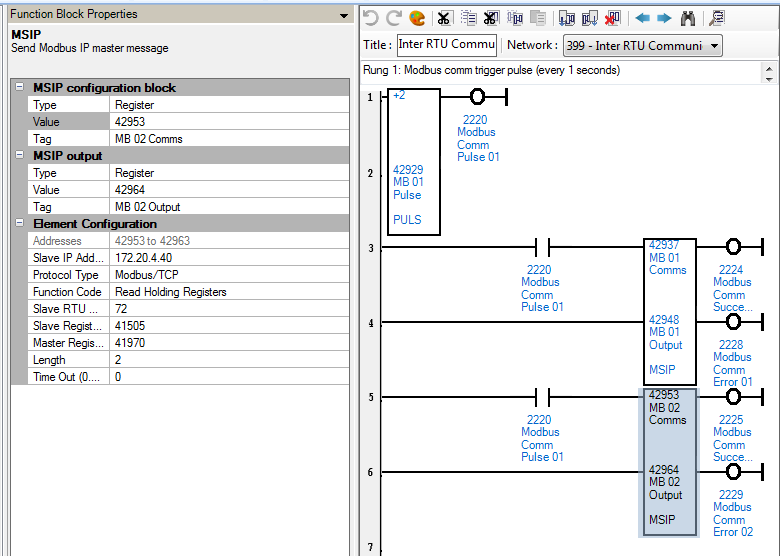 The MSIP element exchanges data with another controller using the Modbus IP communication protocol. This element sends a master message to a remote IP address. 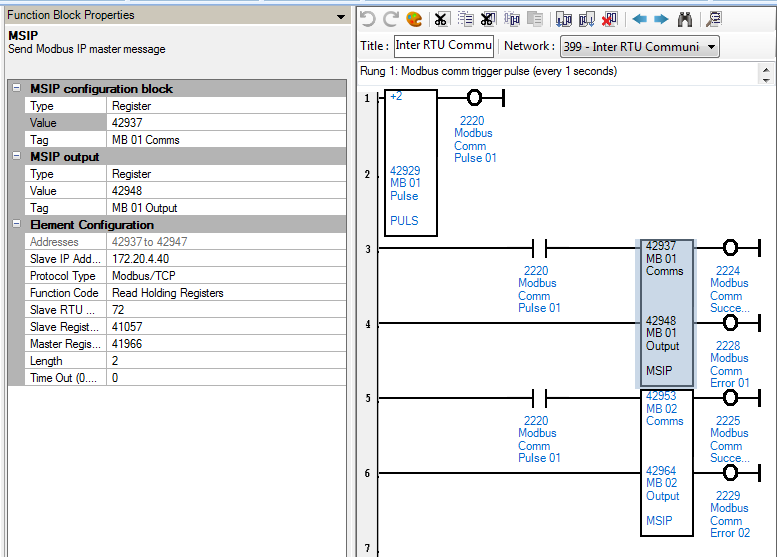 Unlike the MSTR element, multiple MSIP blocks may be active on the same communication interface at the same time. The number of active MSIP blocks is limited only by the number of available connections. 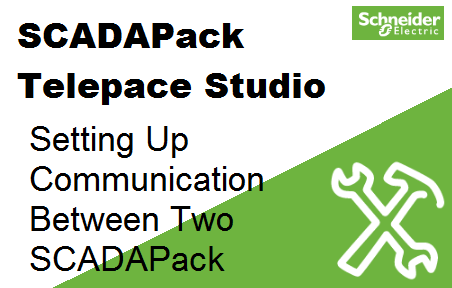 A maximum of 20 connections are supported on SCADAPack controllers. These are my MSIP function block setup shown in the video below. 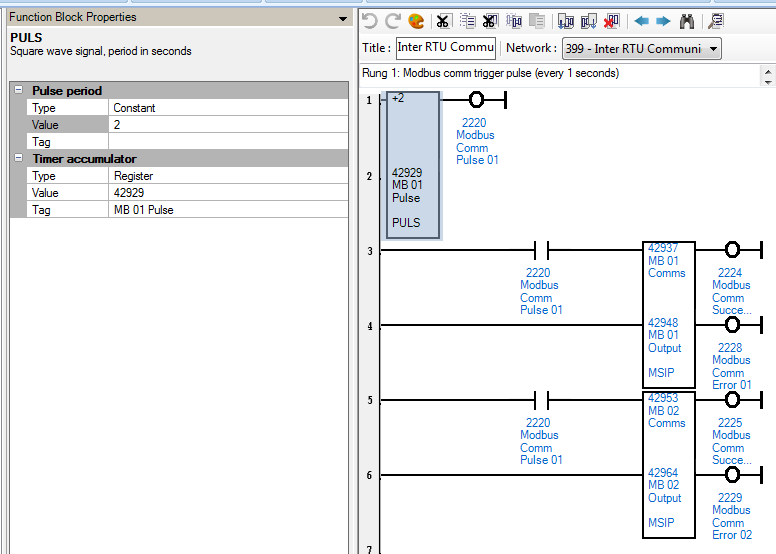 This is my PULS (pulse generator) function block setup. I hope this little video and snippet helped you.